BEDFORD-STUYVESANT — Owners of a local community center are putting the brakes on a Brooklyn roller-skating club by refusing to let skaters use the space after renovations there are finished, members said. 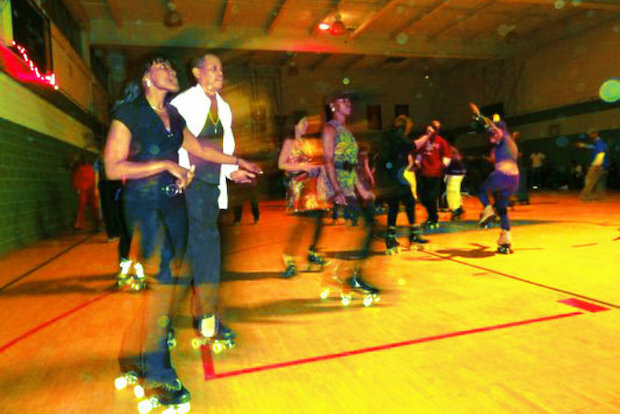 Crazy Legs Skate Club, which has hosted weekly indoor roller-dance parties at a Salvation Army center on Kosciuszko Street, called it quits at the beginning of January after the venue announced a decision to eventually reserve the space only for children's programs. The club has rented the gym and front room of the center for six years, hosting live DJ sessions each Wednesday complete with flashing lights and a mix of young and old skaters. “People of all walks of life, color, and religion gathered from the five boroughs for a few hours of pure joy,” Val Brochard, a skate club member, told DNAinfo New York in an email. But the wheels fell off for more than 100 members of the club on Jan. 1, when the skating crew decided to end its parties at the building. The Salvation Army has offered Crazy Legs month-to-month rental of the basketball court until the completion of planned renovations to the gym, but there is no set timetable for when the work will be done. The Salvation Army sent monthly renewal paperwork to club representatives on Jan. 7 but heard no response, Norman said. She added that the group had been operating under a month-to-month agreement since July. Lezly Ziering founded Crazy Legs in 2008 and hosted its first session at the Brooklyn building after roller-skating rinks in The Bronx, Chelsea and Crown Heights shut down, according to Brochard. Ziering also spearheaded the Central Park Dance Skaters Association, which operates at the park’s skate circle from April through November. He brought his passion to Bed-Stuy, where on good nights more than 150 people skated through the Salvation Army doors for a $10 admission fee. The prices stayed the same through the years, and those without eight wheels could rent from the club for an additional cost. Ziering and his team members will continue to look for another space in Brooklyn to host roller nights and provide additional skating lessons to the community. “Our dream is to find a home that we can keep as long as people will want to roller dance to music,” Brochard said. Ziering did not respond to a request for comment.